Good nutrition is critical to the health of the animals and the team works hard to research and customise the diets of the animals, to keep them as natural as possible. 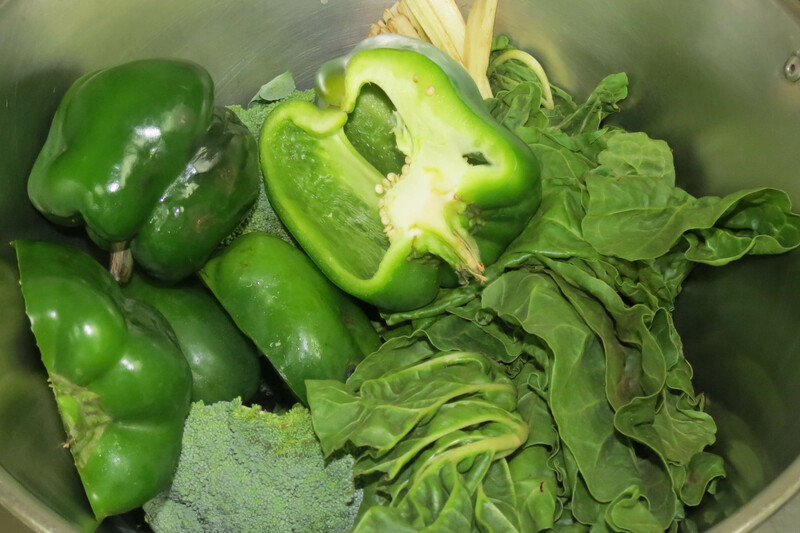 For the many herbivorous fish in the aquarium, kilograms of peas, broccoli, green peppers, lettuce and spinach are prepared every day. The carnivorous fish and sharks are fed on a range of hake, sardines and squid, even mussels and redbait are added periodically. 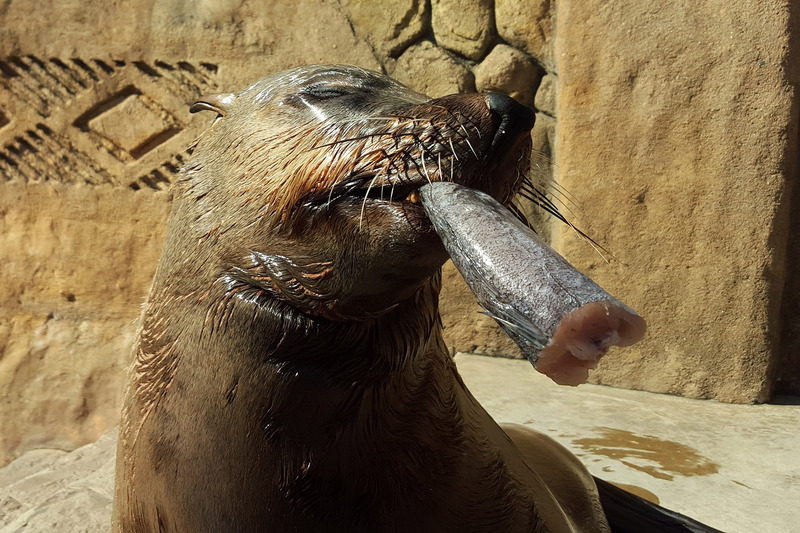 Each exhibit has its own daily menu tailored to provide optimal nutrition for all animals in the exhibit. Many of the larger sharks and rays have been target trained, which means that we can feed individuals and to ensure that they each get the right amount of food and a special ‘shark vitamin’ supplement. While many of the smaller animals, such as seahorses and razor fish, corals, fish larvae and little jellyfish can only eat minute prey. In the cultures laboratory the innovative team grow these special cultures. The dolphins and seals eat hake, sardines, maasbanker, squid, cuttlefish and corvina. 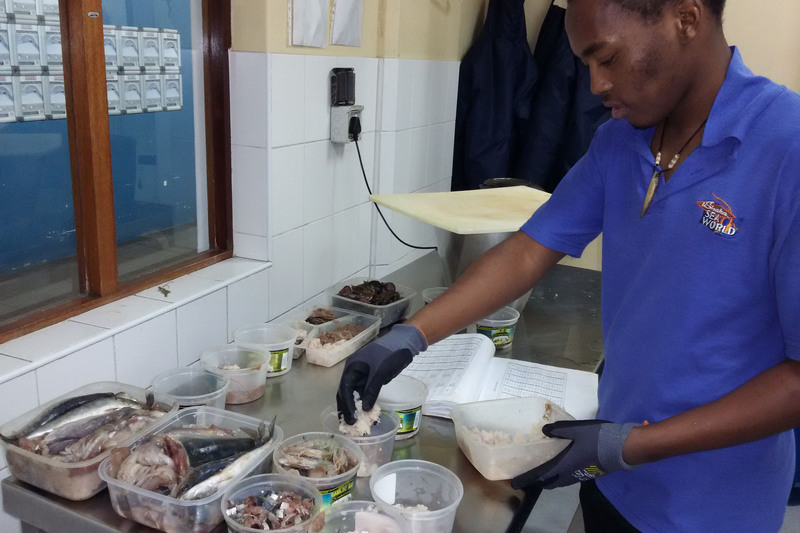 Fish quality is very strictly controlled and every batch is tested by our resident microbiologist. We ensure there is a good mix of rich and lean fish to balance the animal’s diets. The penguins are fed primarily on sardines as this is what they would eat in the wild. Our penguin colony gets through a whopping 6 000kg of sardines each year! The diet of each animal is based on their weight and condition. 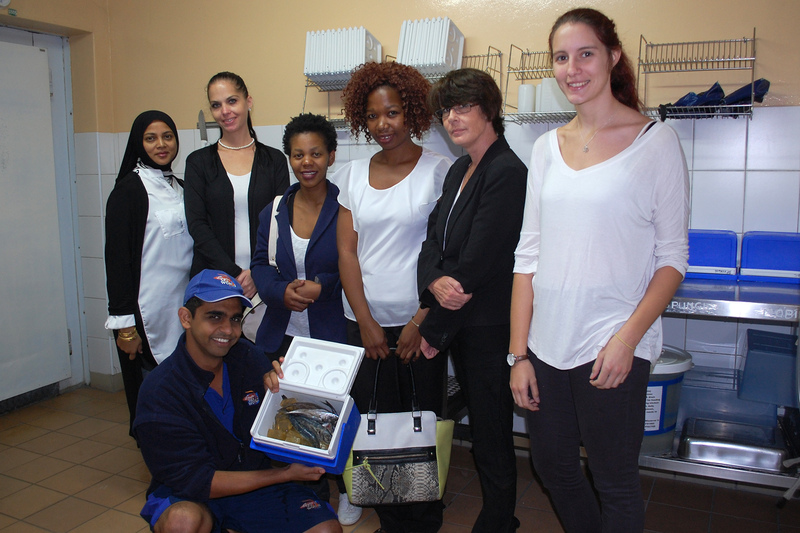 The uShaka Sea World Nutrition policies are constantly being updated to ensure that they are in line with the latest international trends, while the hygiene of the food preparation and feeding process are carefully monitored to ensure the best quality by our animal health team.